If you care for someone diagnosed with Alzheimer’s, you’re likely familiar with the struggles of meal time. 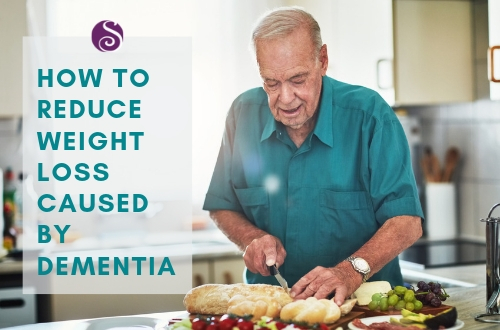 Encouraging eating and preventing weight loss is a common challenge for people with dementias, but there are ways you can help. Let’s look at several strategies you can apply before, during and outside of meal times. The sense of smell is powerful. Not only is it closely connected to memory and emotion, but the scent of food can stimulate the gastric juices that make us feel hungry. Slow cooking with a bread machine or crockpot creates strong aromas that can fill your home and stimulate your loved one’s appetite. By preparing dinner early, you’ll allow time for them to get hungry before meal time. For example, the experts at Serenades by Sonata, a specialized memory care community in Florida, serve meals “family style” out of cooking pots. Not only does this feel more like home, but it allows residents to better see, smell and experience the cooking aspect of meal time. These fragrances can reduce nausea and stimulate gastric juices. 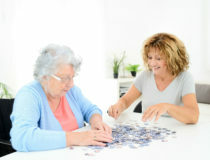 Vision loss is a normal part of aging, but it’s often compounded by the symptoms of dementias like Alzheimer’s, which can affect field of vision. 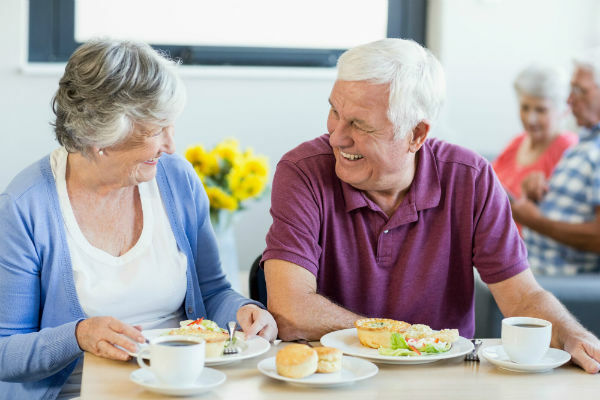 People with dementia tend to be forward-focused, so they may not see a plate of food directly below them. Caregivers may assume the person is not hungry and pull the food away, which can contribute to a weight loss spiral. If you’ve experienced this with your loved one, try moving the plate further in front of them or to one side, instead of placing it directly below them on the table. Worsening eyesight can also make it difficult for your loved one to see the food on their plate. For example, turkey and mashed potatoes can blend in on a white plate, but creating contrast with a colored plate or placemat can help the food stand out. Stick to smaller portions when serving food to your loved one. 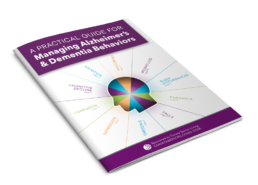 Those with dementia can easily become overwhelmed and distracted, so it may sometimes be best to serve one item at a time. It can also be a generational thing: Many older people may not want to waste food, so they figure if they can’t eat everything on their plate, they won’t touch any of it. Distractions can easily derail meal time and disrupt a routine for someone with dementia. Create a quiet, well-lit environment and avoid noisy activities such as watching television or washing dishes. You may need to close blinds to limit outside distractions, but remember to keep lights on to improve visibility and prevent sundowning. Some might think it’s messy or child-like, but being able to feed yourself with your hands is far more dignified than someone else feeding you. The Serenades by Sonata communities in Florida are also pioneering a “grind dining” program, where the ingredients of a traditional meal — including proteins, grains, vegetables and seasonings — are ground together, re-shaped and cooked into finger foods like patties, meatballs, dumplings or savory pastries. Finger foods are also great if your loved one has trouble sitting still at meal time; they can take their food to-go! 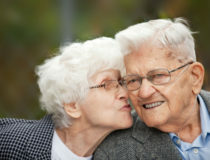 Give your loved one the freedom to be more independent with their eating. The occasional mess is worth it compared to the alternative of them not eating. Ensure your loved one has easy access to snacks around the house. Sometimes just seeing a bowl of fruit or pretzels can stimulate their appetite. This can also foster independent feeding and reinforce the connection between feelings of hunger and the act of eating. It never hurts to offer snacks throughout the day, even if it’s not meal time. If your loved one is having a more sedentary day, food doesn’t have to be as much of a focus compared to a more active day. The key to preventing weight loss is to ensure they’re eating more calories than they are burning. If they are not sleeping well at night, their metabolism is likely more active. You may not see it, but time spent awake is time spent burning calories. When your loved one is awake and active, regularly offer them food.